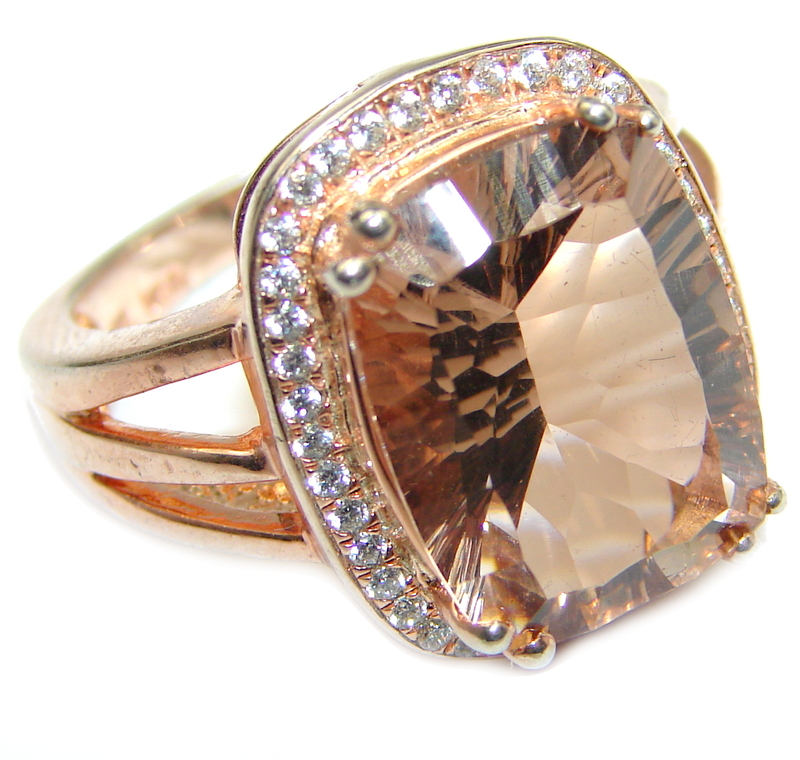 Morganites are pink Beryl gemstones. 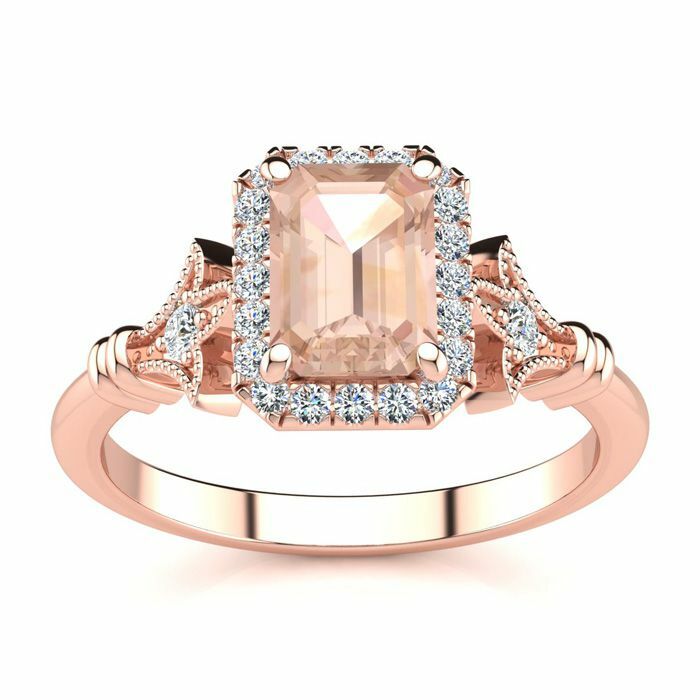 This stunning gemstone and halo diamond vintage ring features one 7x5mm emerald cut morganite gemstone at 0.90 carats. It is surrounded by 22 sparkling diamonds in a halo and down the band in H-I color, I1-I2 clarity at 0.25 carats. Total gem weight is 1.15 carats. 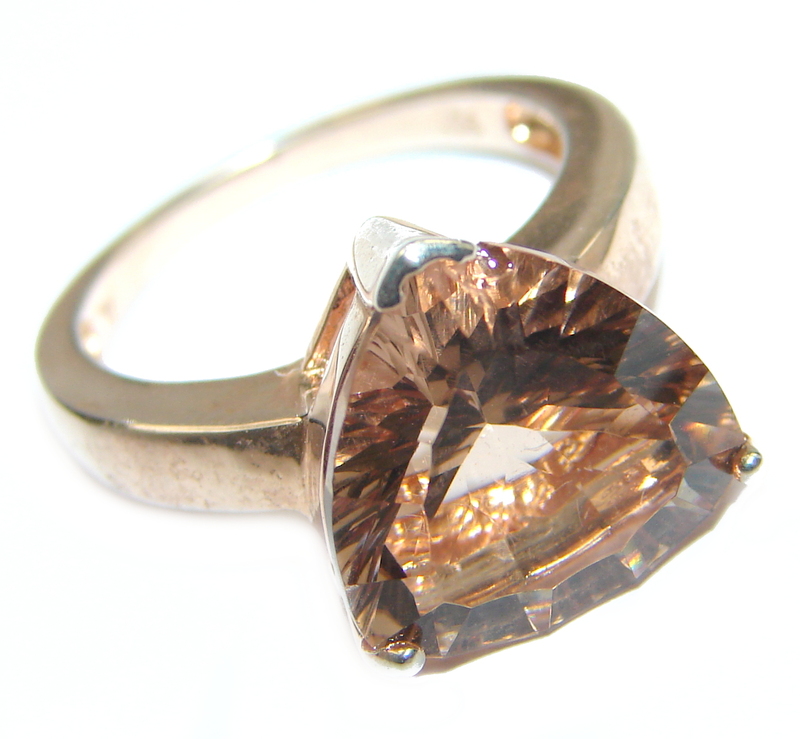 This ring is crafted in 14 karat rose gold. 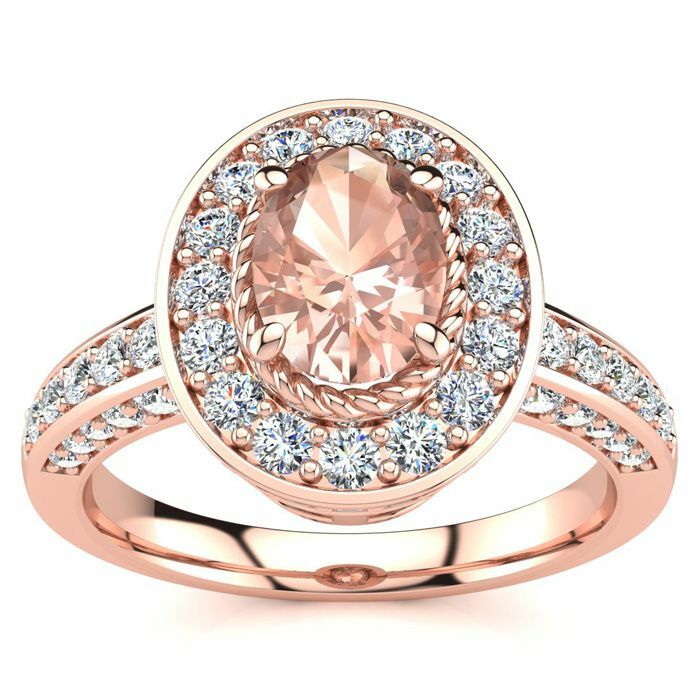 This stunning gemstone and halo diamond ring features one 7x5mm oval shape morganite gemstone at 0.80 carats. It is surrounded by 71 sparkling diamonds in a halo and down the band in I-J color, I1-I2 clarity at 0.68 carats. Total gem weight is 1.48 carats. 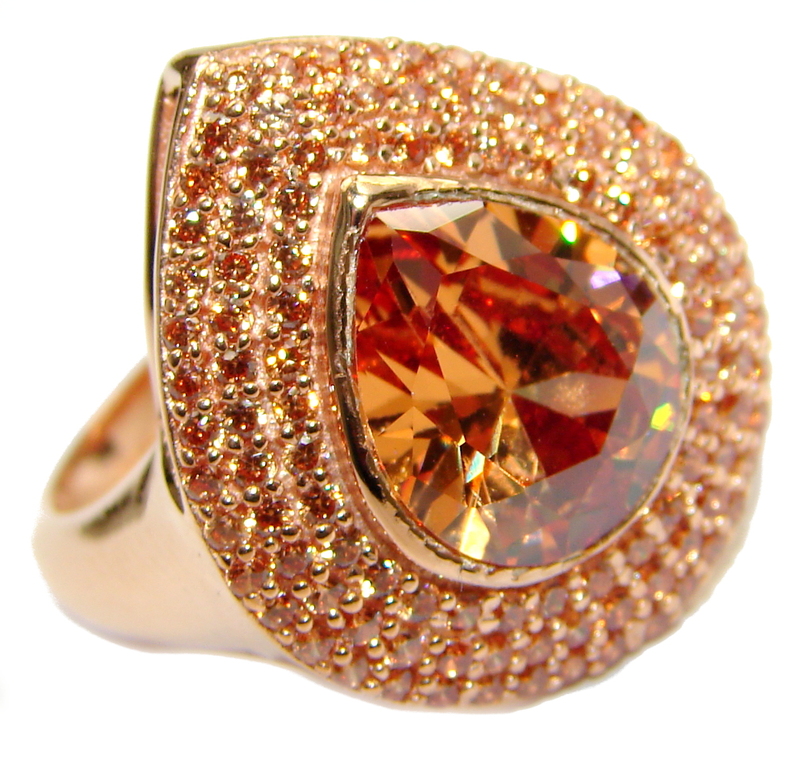 This ring is crafted in 14 karat rose gold. 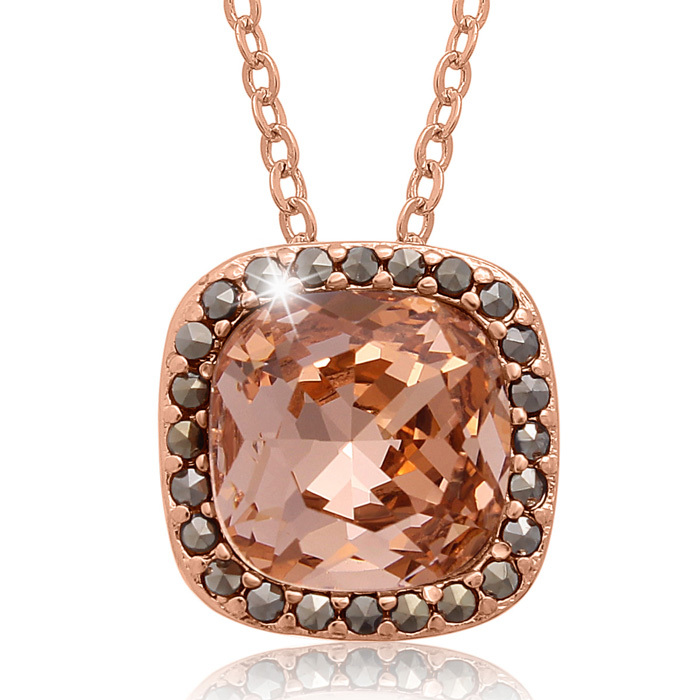 This stunning necklace features 1 11mm crystal morganite gemstone. 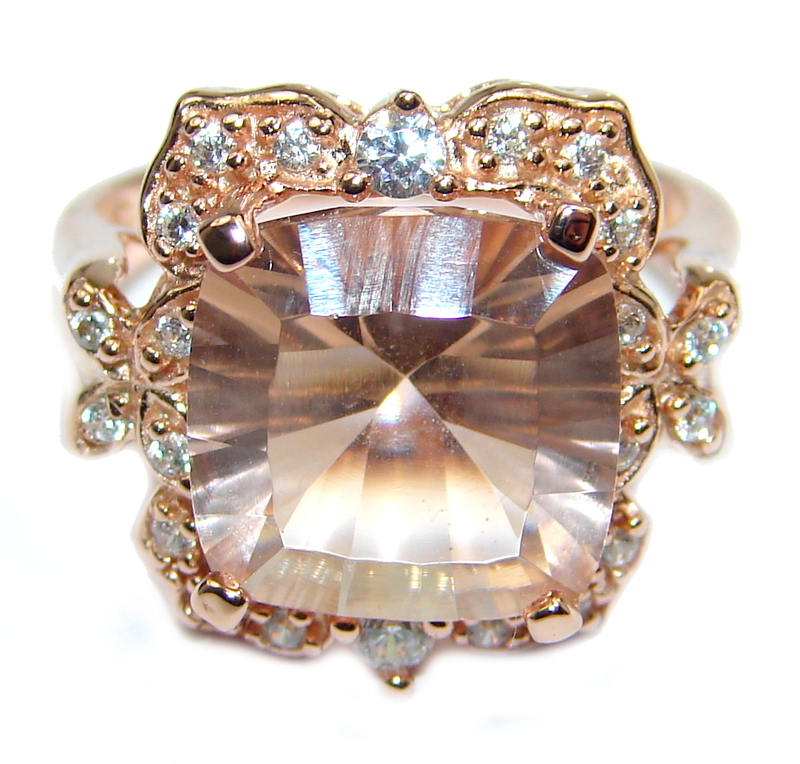 It is surrounded by a halo of marcasite stones. The necklace has the look of a 4 carat gemstone necklace. Necklace is crafted in 18 karat rose gold plated brass and comes with free 18 inch cable chain with spring ring clasp. Pendant measures 13mm. 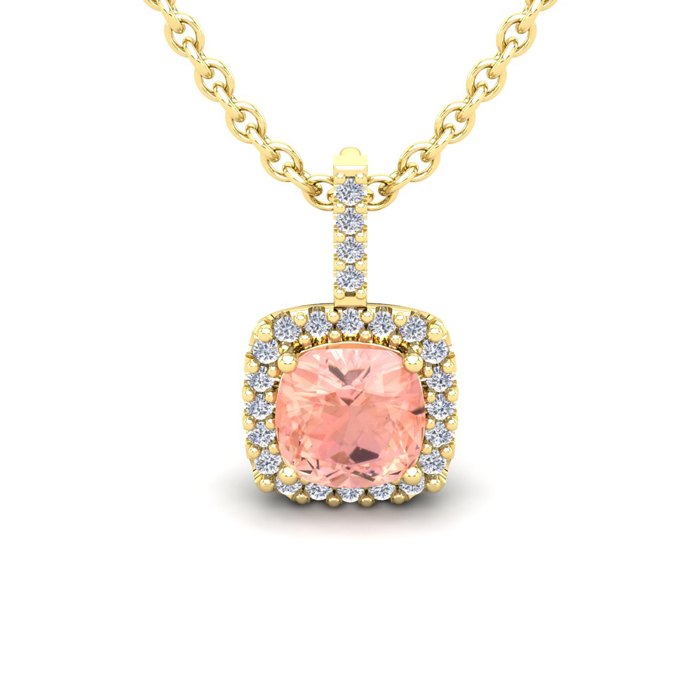 This stunning gemstone and halo diamond necklace features one 6x6mm cushion cut morganite gemstone at 0.91 carats. It is surrounded by 26 sparkling diamonds in a halo in I-J color, SI2-I1 clarity at 0.13 carats. Total gem weight is 1.04 carats. This necklace is crafted in 14 karat yellow gold and comes with an 18 inch cable chain with spring-ring clasp.